Baseball box scores printed on dead trees are becoming a bit of an endangered species these day. I've been directly responsible for some tough decisions to decrease the number of published box scores, over the past decade, in my oversight of various newspaper sports departments. The decline has been happening for decades, though. 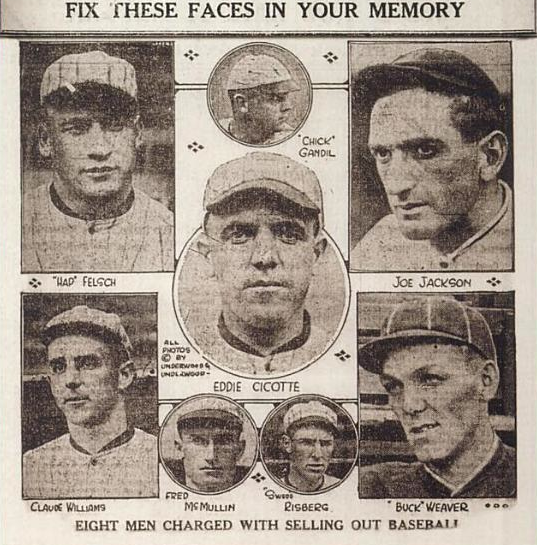 It started, perhaps, when the Sporting News stopped publishing every MLB box score in its weekly edition and has continued to the present, when some newspapers run no box scores at all. The platform on which you're reading this post is, of course, a primary culprit. Box scores date back to 1859 and are credited to Harry Chadwick. By the 20th century, they were a firmly entrenched part of the baseball scene. "[B]aseball is a burden! It is a burden to the newspapers and press associations, and a heavy one. Each year, the army of American 'fans' grows larger and more fastidious in its demands for baseball news, until, like the Old Man of the Sea, the Twentieth Century Old Man of the Diamond has a strangle-hold on the 'sporting desk' of the newspapers." 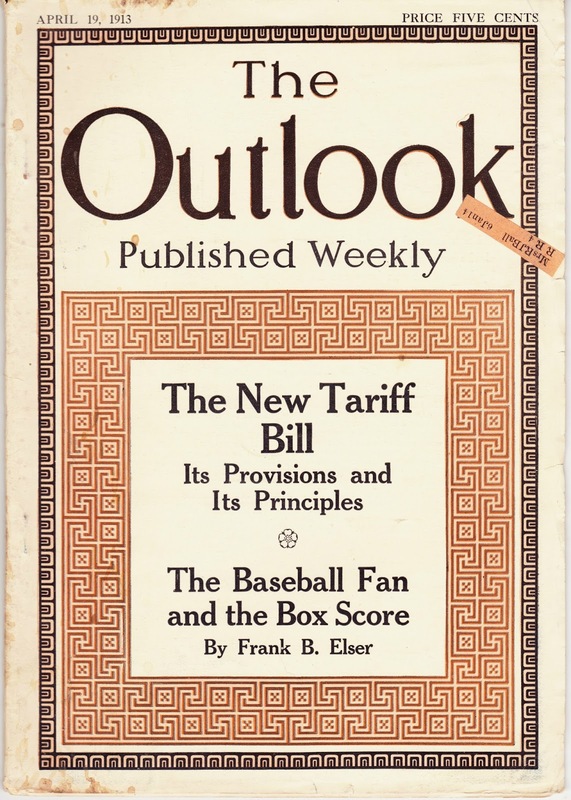 "It is true that baseball reports are circulation builders and that 'the people just will have it,' but it is doubtful if there is a newspaper owner in the country — owner, not sporting editor — who would not gladly be rid of the box-score burden if he could. Certainly the news associations would. Several years ago the Associated Press, whose religion is facts and whose watchword is conciseness, seriously considered eliminating box-scores from its service. Immediately there was a protesting flutter from the pulse of fandom, and the idea was abandoned." "[D]uring the playing season, the Associated Press is carrying over its forty thousand miles of leased wires full box-scores of every game in the National and American Leagues to approximately two hundred and fifty morning papers!" "What other activity of man is as thoroughly reported?" 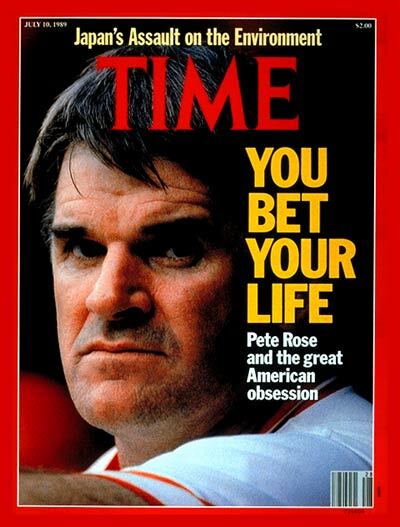 "It takes a good [wire] operator just seven minutes to copy a box-score; hence, with sixteen major league teams playing, this means eight games, or fifty-six minutes of wire time taken up every night during the season with the big-league box-scores alone. On circuits where there are minor league box-scores to be sent, it means double that time, or nearly two hours. On 'double-header' days multiply this by two." "Now let's go behind the headlines and talk things over with the newspaper owner or managing editor. His3 first desire is to give his readers what they want, at the same time maintaining a decent average with proper regard for news values, in order that his paper may not be top-heavy in one thing or shy in another. How many editors have held to this idea? Very few. The baseball mania has upset all standards of newspaper proportion. Nothing in the history of newspapers, or in the history of the world for that matter, has so caught the public fancy as to call forth special editions daily devoted to one thing exclusively. But the afternoon baseball extra now runs through three editions up to the 'Final,' and, deprived of it, the 'fan' would howl like a man who had lost his leg." "Where will it end? 'Fans' are being born faster than P.T. Barnum's proverbial suckers, and each succeeding season finds them more familiar with the game, and demanding more and better news of it. Any old account of an ordinary news event, such as the Balkan War or the assassination of a Mexican President, will do; but baseball, goodness me! we want that written by an expert. We want his4 picture at the head of his column, embellished, if possible, with a facsimile of his signature." "All this costs the newspapers money. Special baseball writers receive big salaries." "Why is baseball so popular? We all know the answer — because it's 'on the level' — and against just because it is baseball. ... Baseball you can enjoy free of cost. If you can't afford a seat in the bleachers even twice during the season, you can watch the bulletin-boards, hang over the ticker, and read the newspapers. And between times you can talk about it." By the time Bruce's essay was published, it had been renamed "Baseball and the National Life." You can read it here. 1. Frank B. Elser (1885-1935) was a contributor to The New York in the 1930s and penned the play "The Farmer Takes a Wife," which was twice made into movies — in 1935 with Janet Graynor and Henry Fonda and in 1953 with Betty Grable and Dale Robertson. 2. March 2011 and May 2011 posts featured advertisements from a 1905 issue of The Outlook. 6. Coincidentally, I own a reprint of one of Bruce's books, titled Historic Ghosts and Ghost-Hunters.